While we rightfully regard Roland Emmerich's Independence Day as a bona fide classic blockbuster, for the people in that fictional world it was anything but. 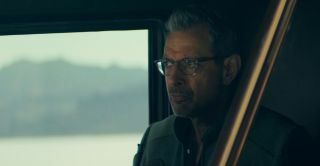 Independence Day: Resurgence picks up 20 years after that famous victory over the aliens, and a new clip titled 'The War of 1996' has given us some more insight on the ramifications of the event. This is a smart bit of marketing; In addition to handily recapping the events of Independence Day - complete with sound bites from THAT speech - we also get a little more info on our new characters that gives us a better idea of their personalities and mindsets as they prepare to defend Earth against another alien invasion. Between this and the latest trailer there's a lot to be hopeful for with Independence Day: Resurgence, and we'll found out if that faith is validated next month. Directed by Roland Emmerich and starring Jeff Goldblum, Bill Pullman, Judd Hirsch, Vivica A. Fox, Brent Spiner, Liam Hemsworth, Charlotte Gainsbourg, Jessie Usher, Maika Monroe, and Sela Ward, Independence Day: Resurgence opens in UK cinemas on June 23, 2016 before hitting US theatres a day later.